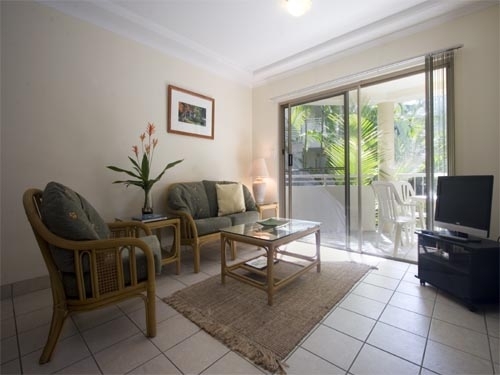 Located on the corner of Port Douglas Road and Mahogany Street, the Port Douglas Sands Resort holiday apartment and short-term rental accommodation is an easy distance to the bustle of Macrossan Street, the Sheraton and Marina Mirage complex, golf course and beautiful Four Mile Beach (only 400 metres away). The Resort offers a comprehensive mixture of one, two and three bedroom apartments and spacious holiday rental accommodation that more than meets the needs of today's family holidaymaker, as well as providing ample entertainment and living areas within the private grounds. The gardens are lush and tropical, featuring a variety of exotic tropical plants that surround the swimming pool, spa and barbecue area, providing an idyllic setting for lazing beside the pool or your private balcony. Each fully self-contained apartment contains a full kitchen, dishwasher, conventional oven, microwave, washing machine, dryer, remote controlled television, remote controlled air-conditioning, ceiling fans and ISD/STD; direct dial phone connection with each apartment. 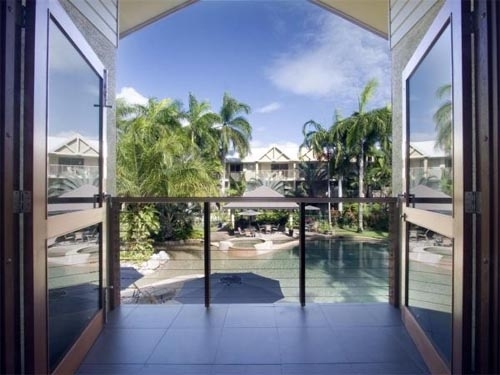 From the tropical lagoon style swimming pool, spa and barbecue area to the breakfast cafe & meeting room, The Port Douglas Sands Resort offers guests the very best Port Douglas accommodation. Each spacious unit has a private balcony, air conditioning, full kitchen, laundry and large living space. Children are most welcome. There is a shallow pool for children and ground level apartments for safety of infants if required. 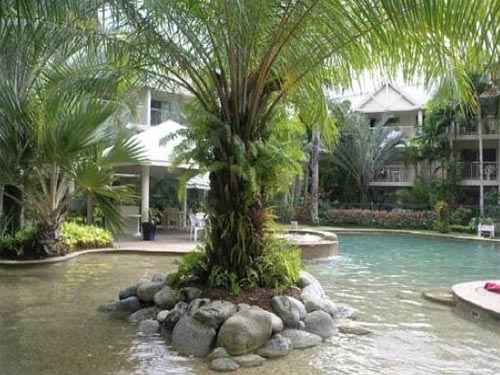 Situated on a beautiful tropical peninsula 65 kilometres north of Cairns, The Port Douglas Sands Resort can be found where the World Heritage Listed Rainforest meets the Great Barrier Reef. Four-Mile Beach is a 400-metre stroll from the property. 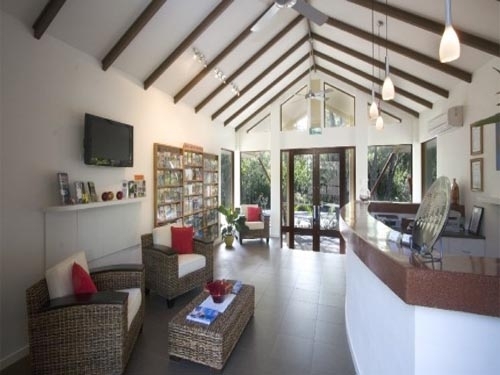 Port Douglas has many tours and activities which can be booked through the reception/tour desk.